We know that every group is a special group - and fulfilling the expectations is our success too! The Finger Lakes Region of New York is full of great group tour experiences. We are known as the Visitors Connection because of our ability to connect our visitors to the experiences and the people they want to meet the most. Here are a few examples of some of our specialty affinity group experiences. These experiences can be as interactive as you want and can be tailored to fit your groups&apos; desired activity level. Interested in Art? Hands-on plein air painting experiences at one of our scenic locations. Take your group to the theater at the Smith Opera House or the Bristol Valley Theater in Naples. Students need a little bit of history? 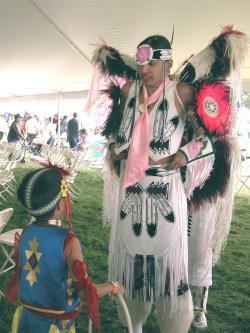 Ganondagan State Historic Site and the Seneca Art and Culture center is the place to start for the Native American History. Special events and details like corn husking, doll-making, and storytelling in a bark longhouse satiate your need for history. Team building? Do you think your group would prefer an adventure ropes course at Bristol Mountain? Want to learn to wakeboard together? Check this out. Got wheels and want to travel together or show off your stuff? Antique Car Clubs like these Stanley Steamers love bring their show on the road. Motorcyclists ramble the hills and valleys. Bicyclists and competitors for triathlons love our location. Wanna-be Chefs in your midst? There&apos;s nothing like the experiences at the New York Kitchen where you can cook together, eat together, or just admire and learn about all the local ingredients that are incorporated into our way of life. Love the water? You can get in it with a class lesson of Paddleboard Yoga or get on it with a tour of the Canandaigua Lady. Learn to make wine or beer? Or just prefer to taste it and increase your portfolio of wine knowledge? The Finger Lakes was voted the #1 Wine Region in the United States in 2015. Get on that bandwagon with your group. And, of course, if you&apos;re here for a special event, like a family reunion or a wedding then you might want to check out our specialty pages for that. We can even focus on our hotels, motels, and bed and breakfasts to see if your groups itinerary can be matched to a unique accommodation, like Geneva on the Lake, an amazing Italian Renaissance style inn, or Belhurst Castle. Yep, we can help you stay in a castle! Okay, enough teasing! Contact us and we&apos;ll get your group all organized. You&apos;ll be having your ideal special interest group getaway in the Finger Lakes really soon.